I’ve become a certified nut butter snob. Since experimenting with my own nut butter, Trader Joe’s brand now sadly disappoints. It’s true of most things… once you go awesome, you can never go back, and nut butter is no exception. Making your own nut butter is so easy and while it doesn’t save much in terms of cost, you get to play around with some amazing flavors that you wouldn’t find the grocery store. Trader Joe’s has an enormous assortment of bagged nuts, so I just grab whatever and make magic with my food processor. I’ve blogged about the macadamia nut butter that’s almost better than wine and chocolate (almost), but today I’ve got another blend that might actually exceed my love for wine and chocolate. This would be a hard pair to beat. They are my go tos when someone asks me what three things I’d would want to have with me if I were stranded on a desert island. That third thing would be yoga pants btw. If I’m going to be stranded and possibly tipsy from all the wine, I’ll probably want to be comfortable too. Today I made a cashew, almond peanut butter blend that was pretty mind-blowing if I must say so myself (and I’ll have to since no one else has tried it yet). I just tossed a bunch of nuts in the blender, including the last remains of my last jar of sad Trader Joe’s peanut butter. I added a few things to jazz up the flavor, and low and behold, I might have to give up my yoga pants so this could be the third thing I bring on my stranded island adventure. I mean, nobody really NEEDS pants to be happy. Nut butter, wine, and chocolate? Without question. I know that many folks have to deal with peanut allergies, either their own or that of a family member. Actually, it’s not uncommon for peanuts to be banned from schools and airplanes because the allergic reaction for some can be deadly. Gosh, I can’t imagine how scary that must be, having to avoid peanuts at all costs. Yikes! Anyway, if that’s the case for you, simply opt out of the peanuts below and add more almonds or cashews. It will turn out just as good. I’m sure of it. 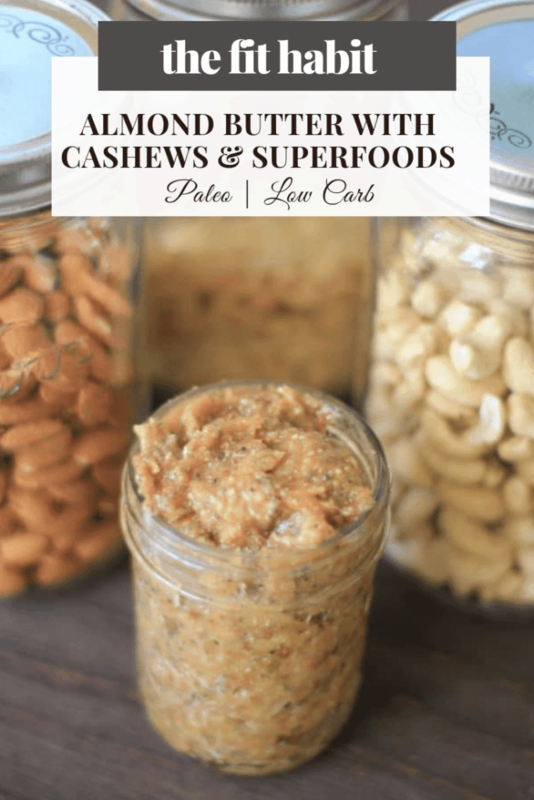 A blend of superfoods and nuts that make the perfect high fat, low carb treat. Just a spoonful will do! Blend and eat with a spoon. Pants are overrated. 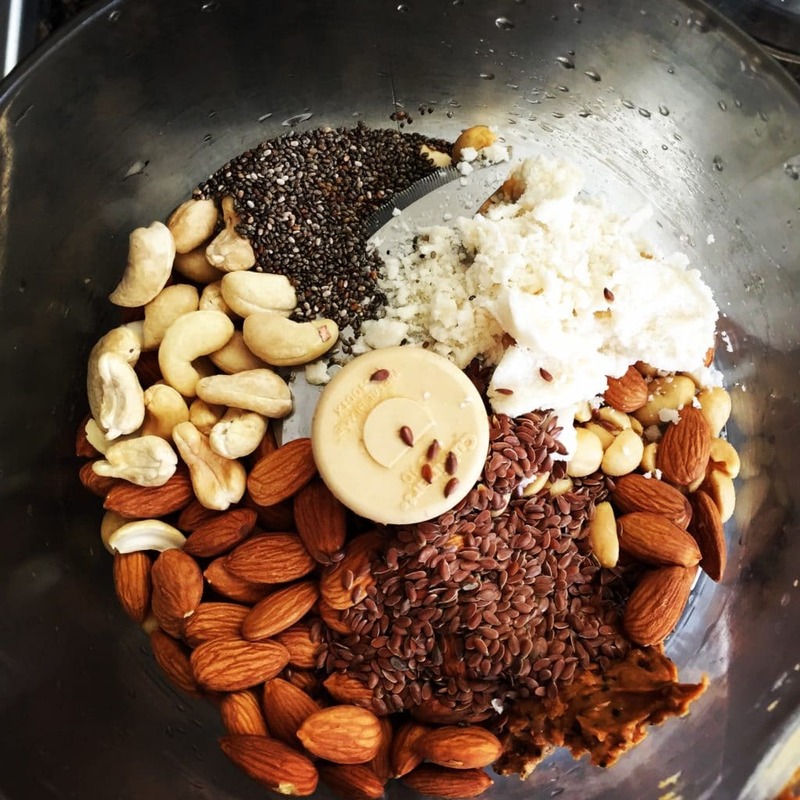 Nut butter on the other hand…. 🙂 Looks great. I’d give up my pants for nut butter any day. 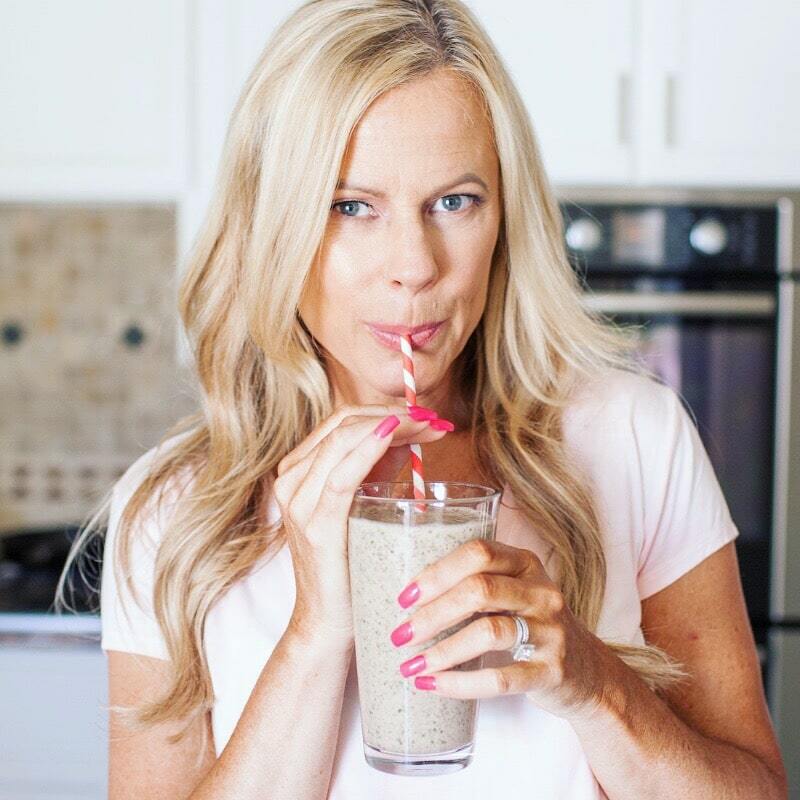 Your blog is in my blogluv feed:) I randomly stumbled upon this, and felt so grateful for the A Loving Spoon nut butter love:) xo ps pants are overrated. Nut butter?!! Never! Cashew and almonds with a touch of honey? In oatmeal, on pancakes (Procakes of course), in yogurt, on toast. Now my stomach is growling. I know right? I just eat it straight from the jar. I would love the recipe, but I don’t see it. It should work now. I’m having issues with my recipe plug in. thanks for bringing to my attention!